Hi all!! Jessie kindly sponsored me for a manicure plus pedicure session at her lovely nail salon, The Beauty Recipe. So I gladly went to get myself pampered. Hee! 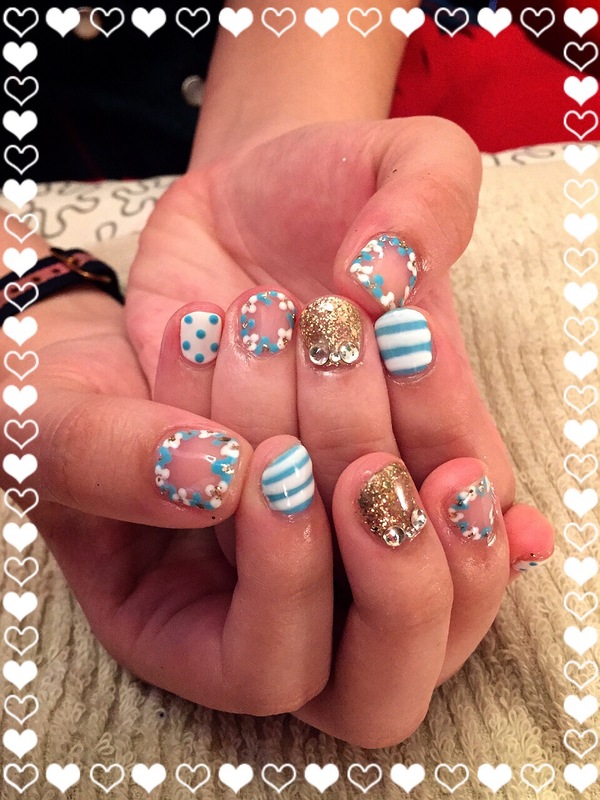 National Day is arriving soon and so Jessie had the idea of painting the flag on the finger nails! Now I’ve the flag on my fingers, I’m all ready to celebrate National Day! Hee! I must say I was wow-ed by the end results! The manicurist Jessie had at her salon was indeed skillful! Look at my toes! You can see that it’s really short but she managed to draw out the delicate designs! Check out how tiny my other toe nails are! But she still managed to draw a flower on each! My toes have never been so nice before! Haha! Facial, Nails, Waxing, Eyelash perming, Eyelash extensions, Eyebrow Embroidery…etc. Stress relief ear candling with lymphatic detox massage for only $18. Call 6567 3568 to book your appointment. Address: Blk 104 Jurong East St 13 #01-102 Singapore 600104.